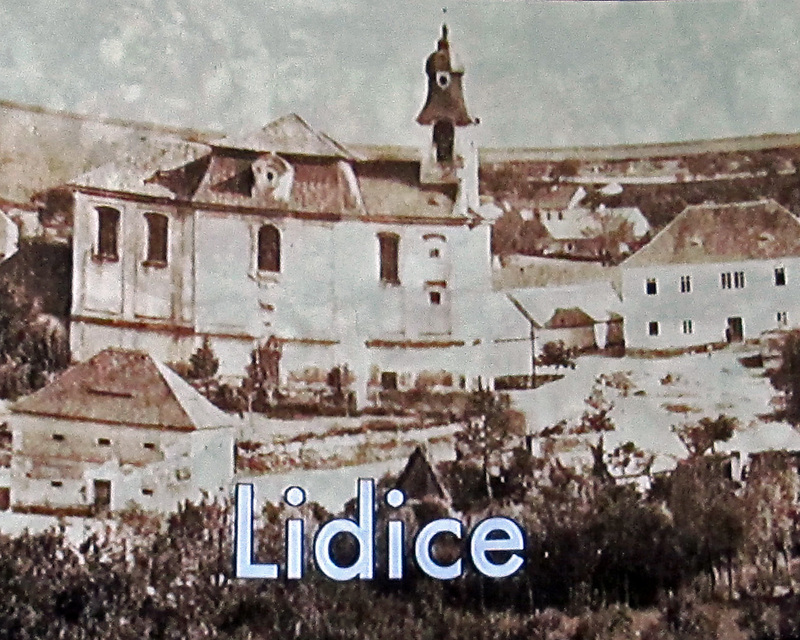 Lidice (in my person’s words) – Doggedly Yours… Howling, Humor, and History. A small dog greets us when we arrive in Lidice. We walk down the street which forms the heart of the rebuilt town. The houses are well kept and border the street. 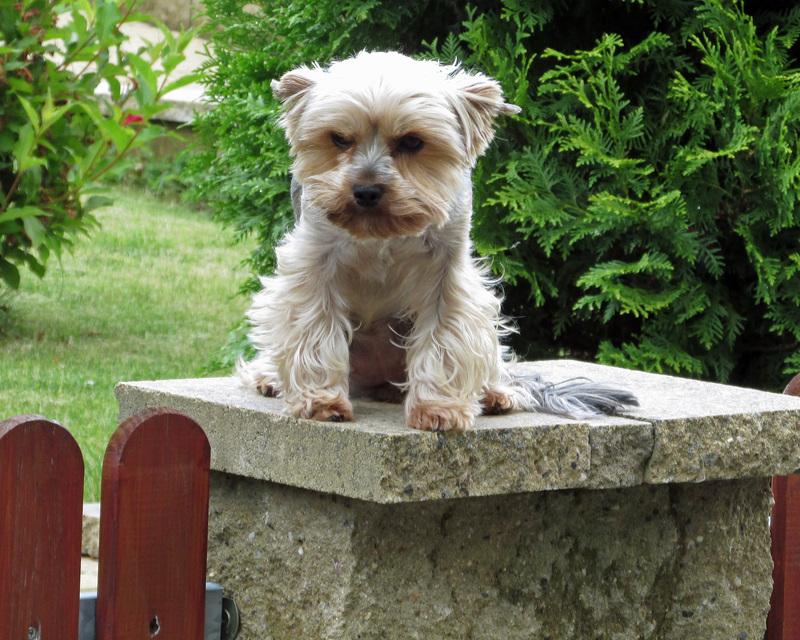 We are amused by the little dog who poses on the fence near one of the house. The story is that old Lidice residents loved their dogs, and the current reality seems to be the same. I imagine that the little canine is saying hello. 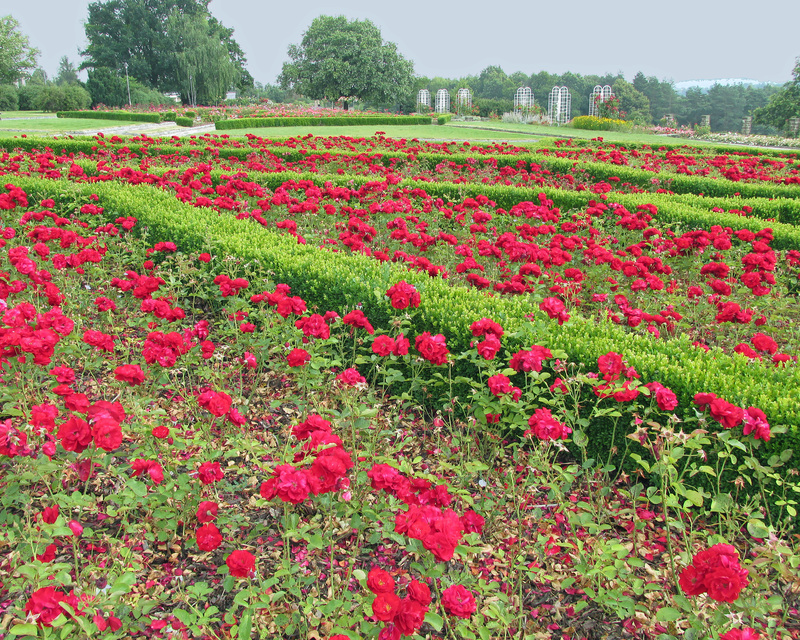 Between the new Lidice town site and the original location is a lovely rose garden. 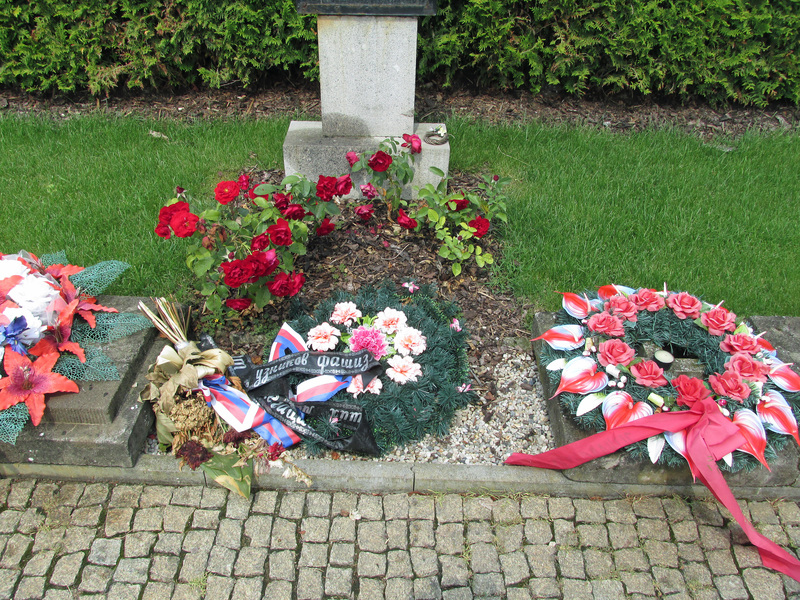 The flowers are a donation by many people from around the world as a response to the tragic events of June 10th 1942 when the town was destroyed and its residents killed. The roses form a bridge between the peaceful present and the violent past. The garden leads the visitor to a spot overlooking a large tree-lined field. 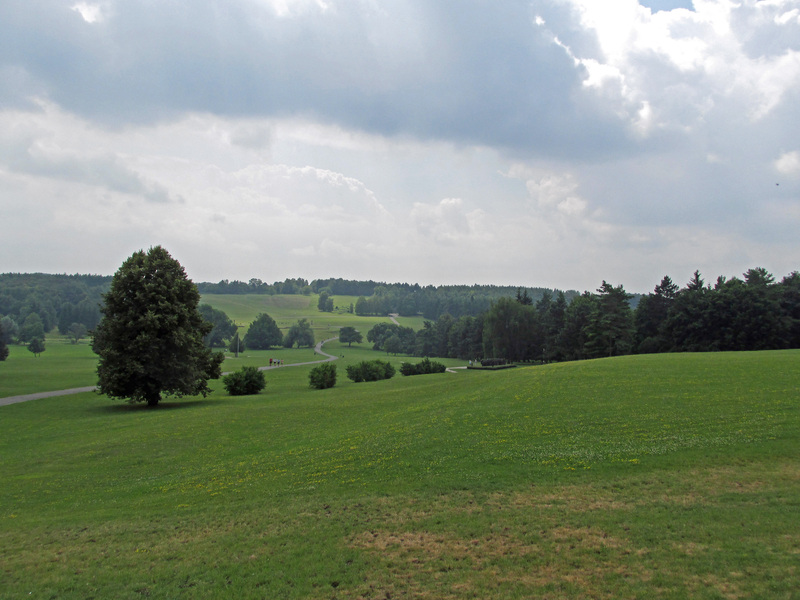 The emptiness of the field stands as a ghostly testament to the town of Lidice which once existed there. A walkway leads down the slope to the open field. The meadow is peaceful. There are memorials along the way as one walks through the pasture. 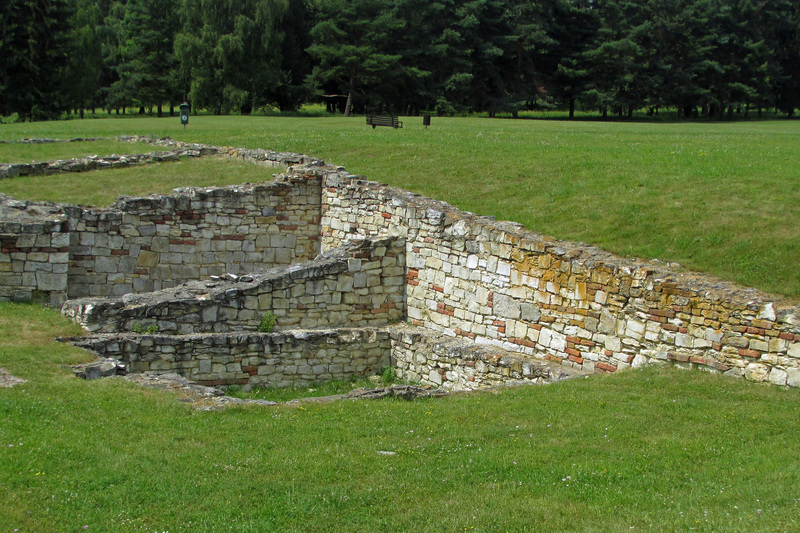 One of the only pieces of Lidice to survive the destruction was barn foundation where all the men in the town were murdered. There is a figure woman trying to protect her child before they were forcibly separated. 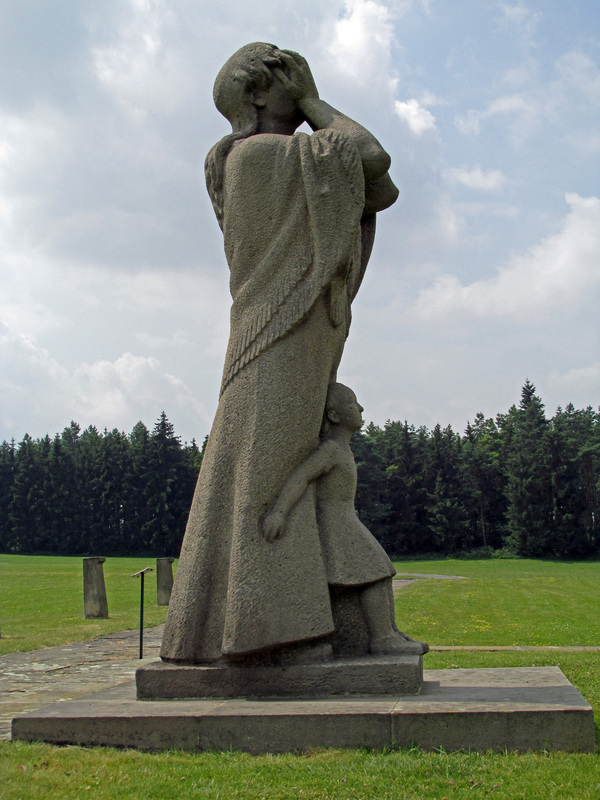 The statue of children huddled together remembers the children who were transported to death camps. 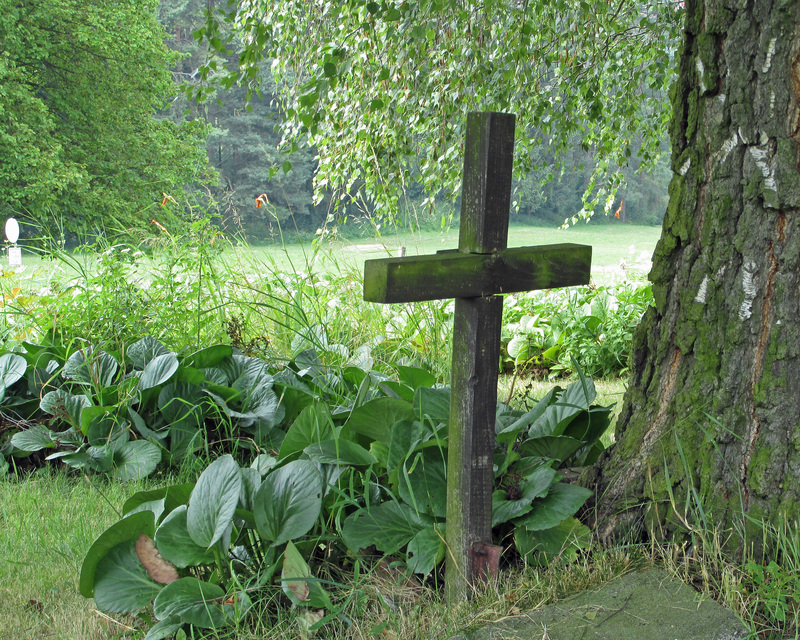 The visitor eventually arrives at the far end of the field where a burial ground honors those whose graves were destroyed during Lidice’s tragic demolition. 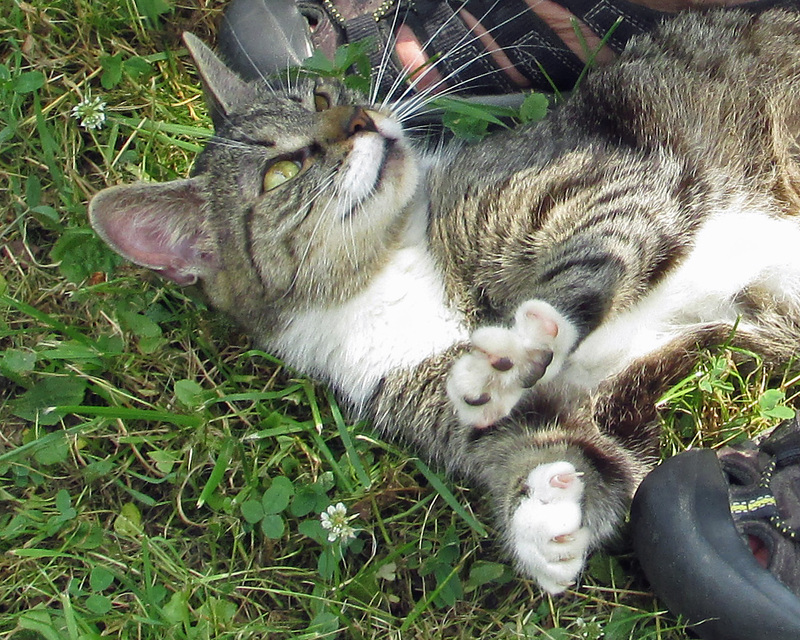 Upon arriving the commemorative burial site, a cat appears. The feline is very friendly. She escorts us around the grave yard. I envision that the kitty is saying goodbye.